I'm a Berlin based designer, blogging at Surfacediary.net about my passion for Japanese Surface Game as well as Topwater angling adventures and fishing trips. The following lines are meant as a short introduction to the fascinating microcosm of Japanese handmade lures and should give a brief glimpse at the background and history of todays Surface Game Scene. 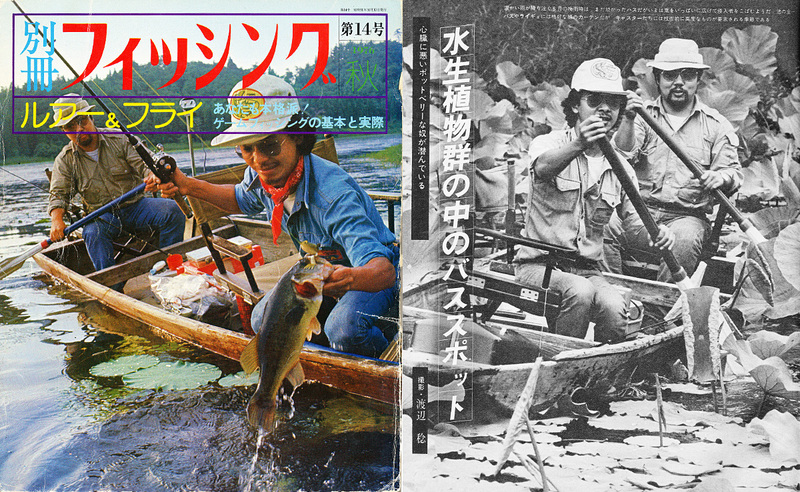 The popularity of bass fishing in Japan has it’s origins in a lively exchange between old lure collectors, builders and tackle manufacturers from the U.S. and Japan in the late 70’s. Of course, wooden and hand-crafted fishing lures where already made in the U.S. since the early tens and twenties of the 90’s century, with manufacturers like Heddon (- Dowagiac), South Bend and Pflueger leading the way. Although the breakthrough took place in the early 80’s. With gaining popularity and interest amongst Japanese anglers, a Game Fish Association and first Bass Clubs where founded. Promoted by the contribution of companies like Saurus Inc. and Smith Co. Ltd., the foundations for the success of Japan’s bass fishing scene were laid. Bass fishing in Japan has it’s origin in the pioneering work of Mr. Hirosuke Nori of Saurus Inc. and Mr. Shuji Yamada, who wrote a book called “black bass tsuri no tanoshimikata” back in 1978. 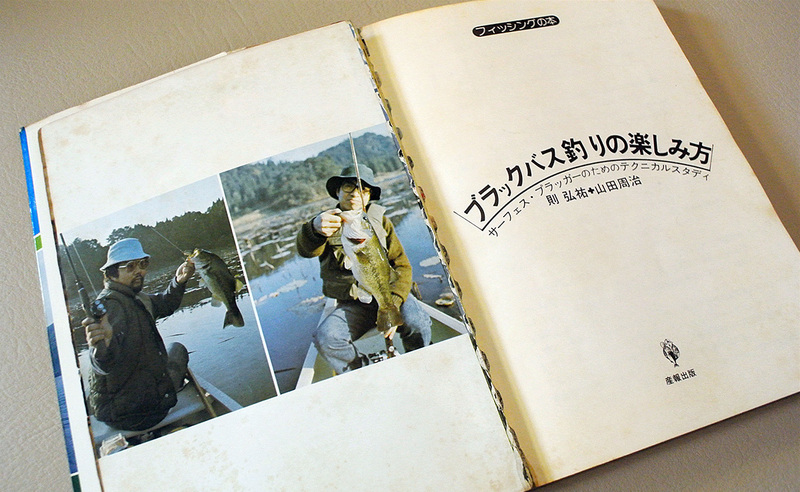 Since of then this was the bible for Japanese Bass anglers and one of – if not – the foundation and source of inspiration for bass angling in Japan in general. Another interesting aspect introduced by this book, was the focus on outdoor life and the joy of spending time outdoors in close communion with nature. Something that is still tangible and noticeable when you experience today’s Surface Game scene. Todays scene draws a lot of inspiration from these early days, but has a lot of different backgrounds and approaches to Topwater Style angling. While the connecting link to Japan’s bass fishing history is omnipresent, it’s more about offering some sort of counter-culture to today’s well-known and highly popular tournament scene in Japan. 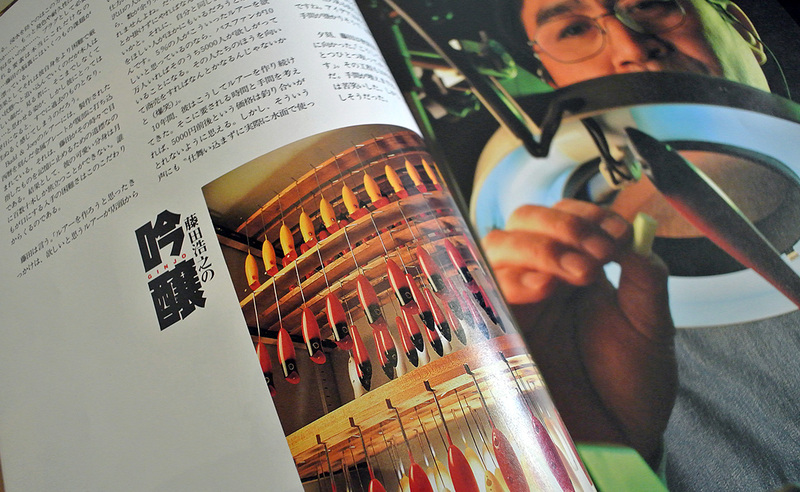 The godfather of Japan’s Handmade Lure Builder Scene is Hiroyuki Fujita of Budd & Joey Company. He was the first builder who brought an own unique style and direction to lure building without getting all-too affected by american influences. Since more than 35 years Budd & Joey Company stands for perfectly crafted and well-tought-out lure creations and Fujita-san’s influence on most of today’s handmade lure builders is truly undeniable. There are a lot of different styles and directions that are loosely connected to each other. Some of them with a focus on casting performance – characterized by smaller lure sizes and more filigree fishing tackle, while others can be described as more ‘bold’ styles – featuring bulky 1oz over plugs and heavy-duty tackle. The most obvious influences on design and approach to most handmade lures are local and geographical conditions. So it’s no surprise that a big and popular place like lake Biwa has it’s own influence on lure characteristics and tackle designs. Another inspiring aspect are the countless different visual styles one can find, ranging from natural color inspired patterns to quirky almost toy-like designs. While most coating techniques and styles seem to go back to patterns and designs introduced by Budd & Joey since of the late 90’s, there are countless other directions that have their own unique visual aesthetic and add to the highly versatile macrocosm of handmade lure building in Japan. Overall it’s fascinating to discover all these different approaches by independent builders and creative heads, who are constantly rethinking existing design concepts while either keeping alive the vintage look and feel or adding their own special twist and style. With every lure and piece of tackle that’s finding it’s way to my box, I’m once more impressed by perfect craftsmanship, inspiring creativity, originality and passion that goes into their creation. Like to know more? Don’t hesitate to get in touch.